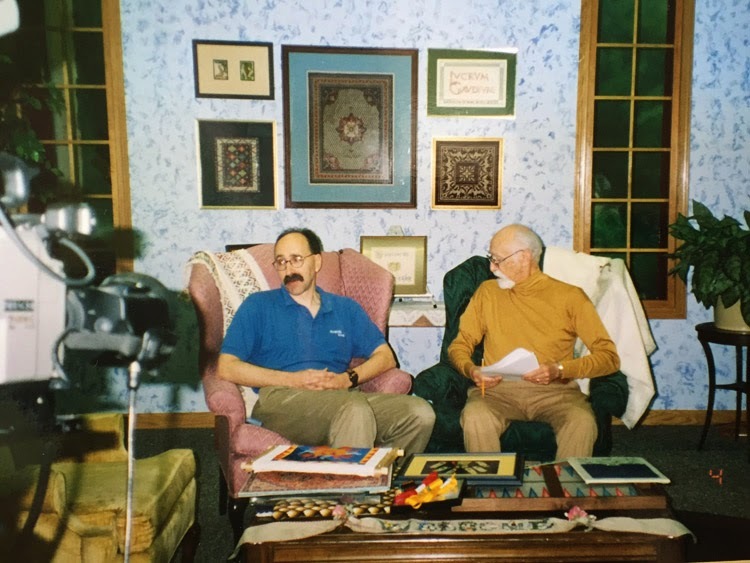 On the Kreinik Facebook page every Thursday, we post throwback pictures, including one photo taken on the set of a needlework TV show taping back in the 1990s. Looking at that picture of me and my Dad sitting on Shay Pendray's PBS set brought back some very funny memories. This was the first time either of us had been on a TV show. This particular episode focused on men who stitch. I brought my stitchery, my Dad brought his and we also brought a few of my older brother Ted's pieces. You can see his large oriental carpet placed behind us. Shay asked my Dad a question, "Jerry, it must be great have your sons in business with you?" His answer was, "Well, you know Shay, because of the government's tax structure, it has made passing business down to the next generation more difficult." My jaw dropped. After filming, I asked Shay if we could re-film. She said that her crew would redo the whole segment. I explained to my Dad that there is a difference between an infomercial and the news. Shay, I stated, was the news. My Dad was a real news hound, but he totally understood. We reshot the show. Shay asked a new question after looking at golf club covers that had been a signature product produced by my parents when they started the company back in the 1970s. "Jerry," she said, "I bet you created these golf club covers because of your great love of golf?" My Dad said,"No, Shay, I hate golf!" They left that in. Spring is here! Time to hit the road and freshen up your fiber stash. 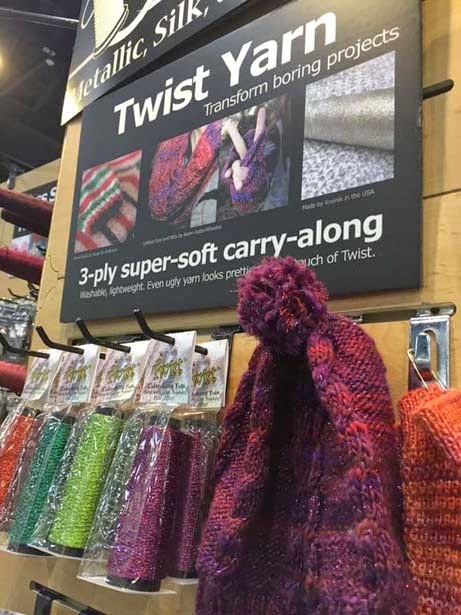 Kreinik is excited to be participating in the Pittsburgh Knit and Crochet Show this month, March 27, 29, and 29, at the Westin Convention Center in Pittsburgh, Pennsylvania. Here's a chance to see how your projects will look gorgeous with a little Kreinik fiber "spice." 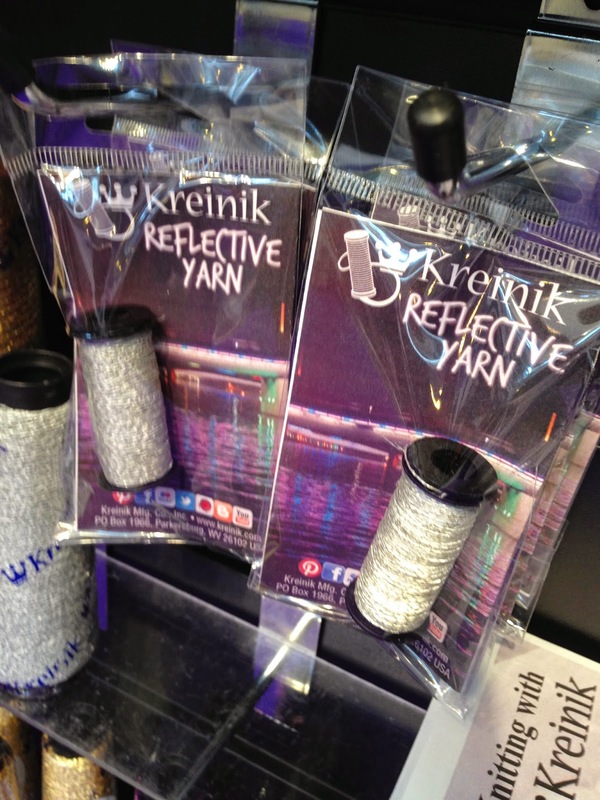 Plus, if you have hats, gloves, scarves or other night-out ensembles on your to-do list this year, you will want to pick up the Kreinik Reflective Yarn, which can be combined with any yarn from your stash. 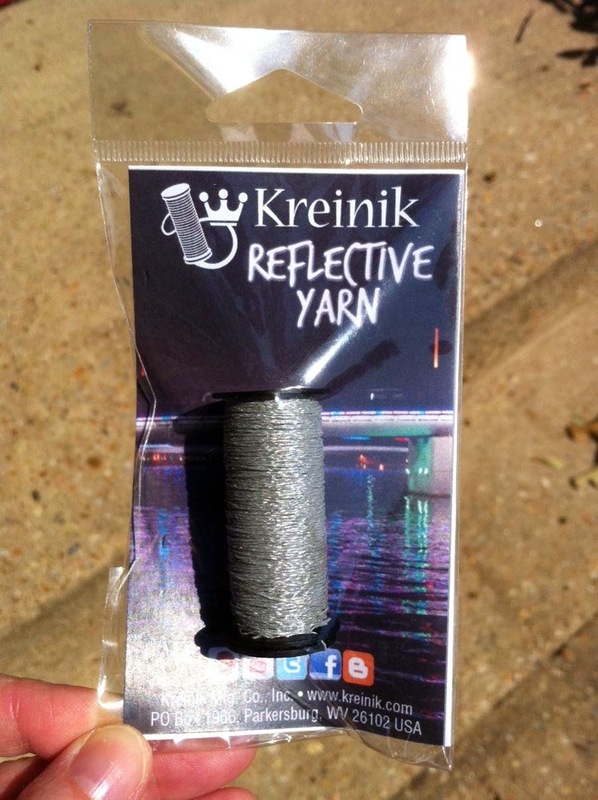 In addition to the popular Reflective Yarn, we will have our most popular fibers for knitting, crochet, weaving, and spinning: Kreinik Twist, Twisted 6, Ombre, and more. These super-soft metallic carry-along threads dress up a design like you wouldn't believe—in fact, just come by the Kreinik booth to see the design possibilities. Even "ugly" yarns are made beautiful with these fiber additions. 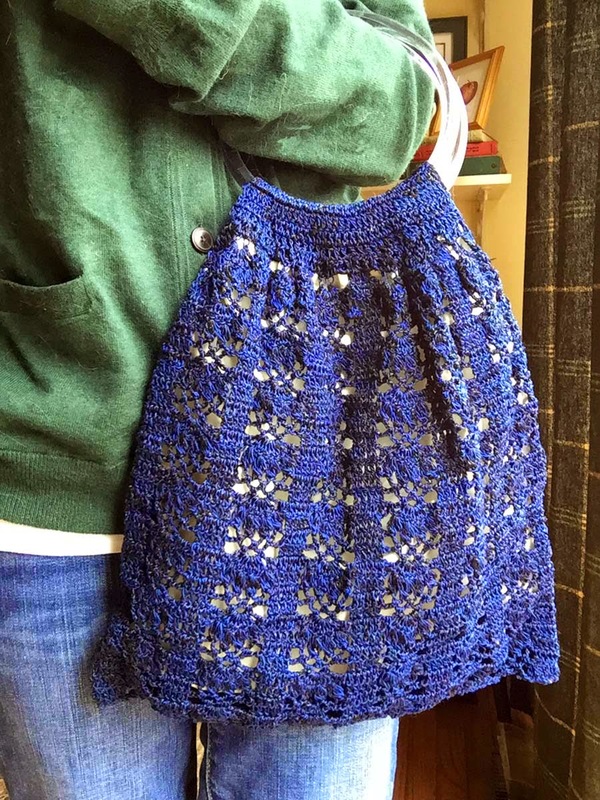 The Knit & Crochet Festival was founded more than 10 years ago by fiber guru Barbara Grossman as a simple fundraiser for her daughter's school. Now a renowned, award-winning event, the festival attracts thousands of knitters, crocheters, weavers, spinners, designers and other fiber enthusiasts. This year's festival features such fiber stars as Steven "StevenBe" Berg, Alasdair "Extreme Double Knitting Master" Post-Quinn, Drew "The Crochet Dude" Emborsky, and Charles "The Sock King" Gandy. Oh, and did we mention Doug "The Thread Man" Kreinik? Yes, he will be there too. 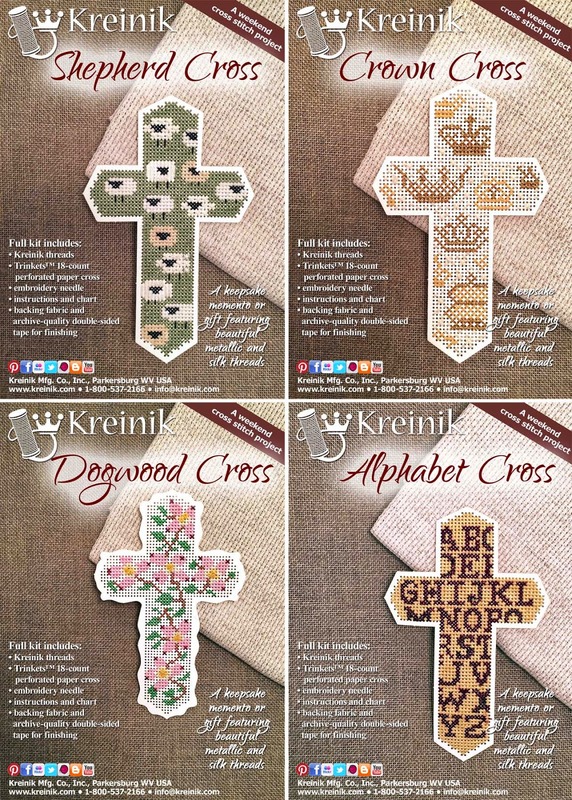 Whether you are stitching for Easter, Mother's Day, Christmas gifts, or just want a lovely quick-to-stitch-and-finish weekend project, the new Kreinik CROSS Stitches kits are perfect. They are worked in cross stitch on premium quality Trinkets™ perforated paper. 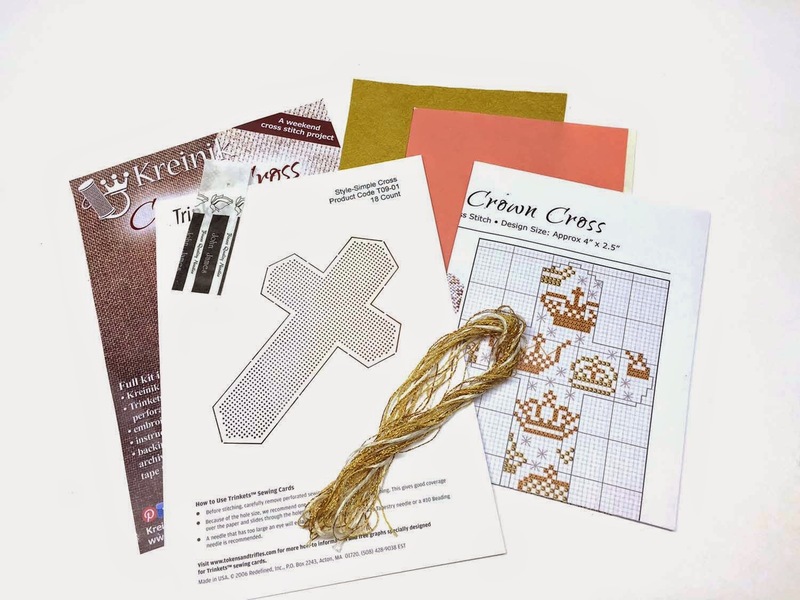 Each kit includes everything you need to stitch a design: Kreinik silk and metallic threads, 18-count perforated paper cross, chart, needle, plus double-sided tape and backing fabric. The designs are subtle enough for primitive palettes, but with a touch of shimmer for visual interest. Luxurious ultrasuede fabric covers the back to make finishing fast yet elegant. Alphabet Cross, featuring beautiful "Marsala" shades of silk thread (the Pantone® Color Of The Year), this design is ideal for sampler lovers, history buffs, and those wanting a simple-but-elegant project. 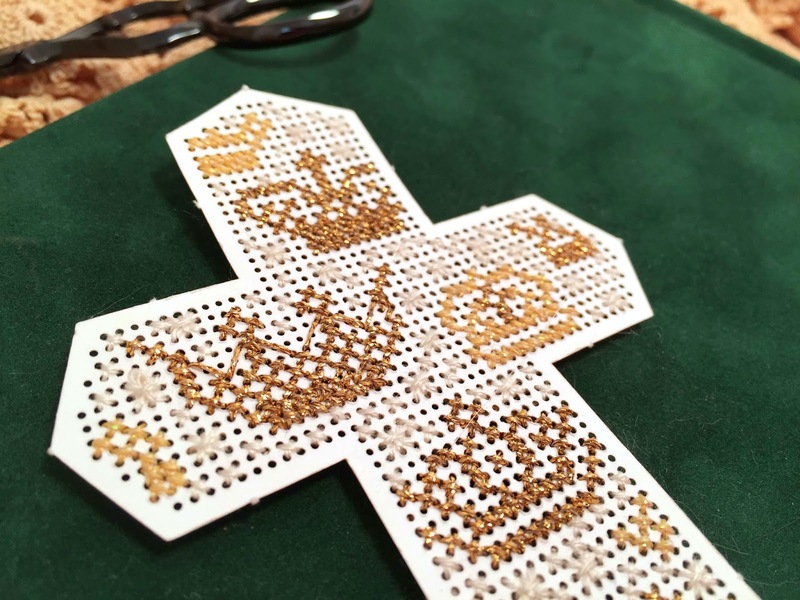 Crown Cross features a common sampler motif worked in golden silk thread, with a modern twist of metallic thread (fitting for a gold crowns!). The various yellow shades blend harmoniously, while white silk stitches provide a textured backdrop. It's a simple but gorgeous project. Dogwood Cross celebrates the onset of spring in its floral glory, plus ties in with the Legend Of The Dogwood story. 2015 is the Year Of The Sheep! Shepherd Cross celebrates this beloved animal, but also brings to mind one of the most popular Psalms from the Bible. We've gotten over a foot of snow in Parkersburg, WV today so we are doing a little baking with the plant closed. My Dad taught me the fine science of making pizzas. He actually had a collection of twenty five pizza dough recipes. I would go over to my parent’s house on a Sunday mornings and work with him to prepare pizza for a nice afternoon repass. We would always try to outdo each other on toppings. This of course made for interesting conversation. 1 packet or 1 tablespoon (5 ml) dry yeast. Sometimes I will add spices to the dough, i.e. Italian Spices to give the dough an interesting flavor and appearance. Add sugar and yeast and gently stir. Let sit for 3 to 5 minutes to rise. I have used a food processor and a mixer and prefer the mixer. Using the dough blade in the mixer, mix until a ball is formed. You may need to add a little more water to help it in forming. Take the ball of dough and place in a covered bowl. I usually wipe the side of the bowl or container holding the dough ball with olive oil so that it will not stick. At this point, make a second batch for a second pizza. While the dough is rising, you can prepare the pizza sauce. Here is my favorite Marinara sauce which is easy and fast to make. Sauté onions and garlic in a sauce pan until the onions are transparent. Add remaining ingredients simmer for 1 hour. This recipe makes enough sauce for two pizzas. After the pizza dough doubles in size, kneed it, continually folding it onto itself. I usually let it rise twice. When ready, shape the dough into a cookie tray or an 18” (.45 m) round pizza pan. For thinner crust, roll out with a rolling pin. I often let the shaped dough rise a little more in the pan before baking. After the Pizza dough is pre-baked, add your favorite toppings. Spread the marinara sauce on to the pre-baked crust, then add: different types of cheeses, sautéed Italiansausage, pepperoni, deboned chicken, New Orleans Central Market Muffuletta Olive Salad mix, raw egg to be fried on the pizza, sautéed broccoli, Swiss chard, and or spinach, mushrooms, sautéed onions, sliced avocado, fried potatoes, zucchini, eggplant, artichoke hearts, anchovies, tuna or whatever sounds good. Place back into the oven. Bake at 450F (232C), until the crust is brown and the cheeses are melted (about another 10 minutes). Using a spatula, lift an edge of the baking pizza up to see if the underside is done (a bit brown). The dough should lift easily from the pan and not stick. This will signal that you are ready. Remove from the oven. Cut and serve and wow your friends.